Do you want more joy and less stress this season? It begins by planning for the holidays… NOW. Check out these 6 reasons why you should start today! We just sent our kids back to school. The temperature is still blazing hot and sticky. Shorts, sleeveless shirts, and sandals still dominate the daily wardrobe choice, yet here I am sipping on some pumpkin spiced k-cups I had shipped courtesy of Amazon Prime and listening to a little Penatonix acapella Christmas tunes. To me, the start of the school year means it’s fall regardless of what the calendar says. To be fair, the school year used to start after Labor Day but for some reasons unbeknownst to me, school starts earlier and earlier every year, creeping closer and closer to August 1st. Here’s the truth though, once September 1st comes, we are on a fast moving train that accelerates towards the end of the year with no signs of slowing down. September is filled with back-to-school events, getting back into routines, football games, apple picking, apple treats, and a few final days in the pool until they close for the year. October brings the beginning of fall (glorious, wonderful, beautiful fall) and all things pumpkin: pumpkin bread, pumpkin patches, and that beloved PSL (although I tend to make my own year-round!) There are more football games, harvest festivals, trick-or-treating, and bonfires. November continues to bring us heaven on earth in the sense of golden trees at their peak, a season of gratitude, an epic meal of comfort and delight, and the arrival of the holiday shopping season. Finally, December ushers in the season of Advent, as we wait for the birth of Jesus. But it also means Christmas parties, concerts, cookie exchanges, gift purchasing, decorating, visiting Santa, and on and on the list goes. Simply put… the last four months of the year are busy, busy, busy but they are also filled with plenty of opportunity for precious memories and lots of family fun. For clarity sake, when I’m using the term HOLIDAYS, I’m referring to this busy and magical season of fall & Christmas combined. So I’m sitting here sipping my pumpkin spiced coffee listening to Christmas music as I begin to work on our holiday plans… because we have a lot of things and activities we want to accomplish between now and the end of the year. Have you even given any thought to the planning of the holidays just yet? More than any time of year, the traditions and activities that happen during the fall leading up to Christmas are plentiful. 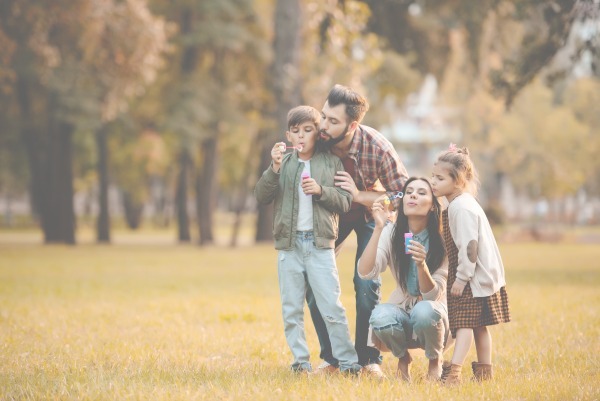 From pumpkin picking to baking pies, to trimming the tree, to attending a local holiday festival to shopping and wrapping gifts together, there are plenty of moments to cherish together as a family. Unfortunately, this time of year is also a prime season of stress for many parents, especially moms. We are usually the ones planning everything making sure everyone is happy and enjoying the season. What tends to happen though, is that mom is usually the one who is enjoying it the least! Beginning to plan now, and getting everyone on board with the planning, goes a long way in guaranteeing you enjoy the holiday season with your family. Sitting down to review expectations and discussing what everyone’s favorite traditions are is a great way to make sure you are only prioritizing what truly matters to your family. 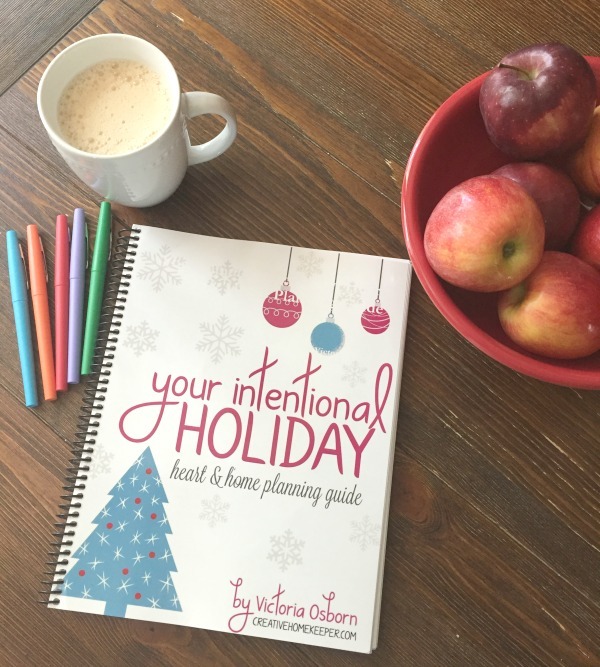 Intentional planning helps to elevate the stress and chaos from trying to do everything, including things your family doesn’t even want to do in the first place! 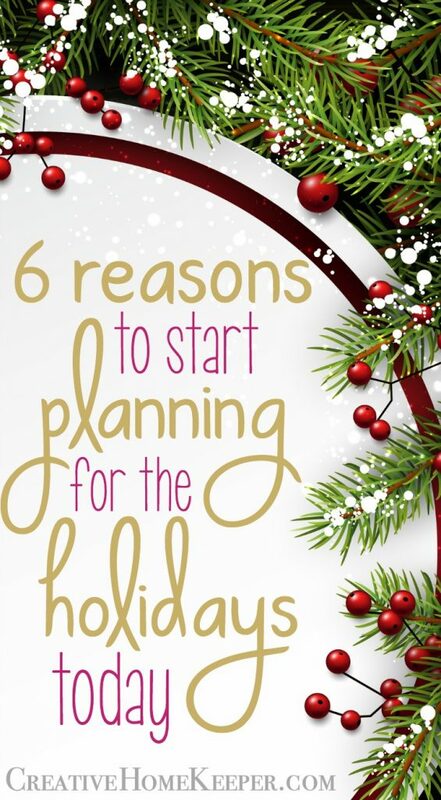 If you truly want to enjoy a stress-free and joy-filled holiday season, you have to start planning early! Thanksgiving, Advent, and Christmas are very important holidays for the Christian faith. We gather together to reflect on the blessings that God has showered us with. We prepare warm and delicious food, representative of the harvest, and gather around a family table sharing life, stories, laughter, and good fun. We wait with eager anticipation for the arrival of our Savior, and we marvel at the miracle of a small baby being born in the most unlikely of places. Growing our faith through Bible reading, prayer, and singing along to seasonal songs, is one privilege of the holidays. Our faith can blossom and become stronger during these months, but we have to be diligent about placing our focus where it matters most. These last months of the year can be very distracting to growing and strengthening our faith if we aren’t diligent about carving out time to be in the Word daily. Thankfully, there are so many resources and Bible studies that are based on the fall’s harvest, gratitude, Advent, and Christmas. We just have to have a plan! For fall I will be completing the Hebrews study from She Reads Truth a, as well as work through the In Everything, Give Thanks SOAK Scripture study. I am also currently reading Growing in Gratitude by Mary K. Mohler and plan on re-reading Choosing Gratitude by Nancy DeMoss Wolgemuth leading up to Thanksgiving. 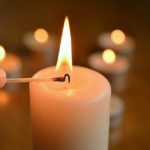 For Advent, I will most likely be doing the Advent study from She Reads Truth and I will be going through Truth in the Tinsel again with my little ones. Last year I also read through the devotional Unwrapping the Names of Jesus as part of our family Advent devotional. And I think we are going to be using Nancy Guthrie’s Let Every Heart Prepare Him Room. I know this because I already have a flexible plan in place. Taking a few minutes to think through the seasons and what type of Bible study and reading you want to do, both individually and with your family, is one way you are prioritizing being in God’s Word and growing your faith during a busy time of year. It used to be Thanksgiving was a set-aside day to focus on family and gratitude, but now stores are open all day to take advantage of shopping deals. 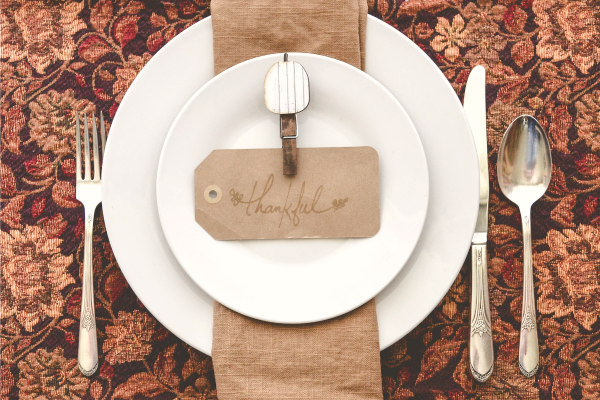 Some even forgo Thanksgiving dinner altogether to line up in front of their favorite stores. Now, don’t get me wrong, I am all about hunting down really amazing deals, especially on a high-ticket gift, but (and this is a really strong BUT) are we missing the bigger picture here? 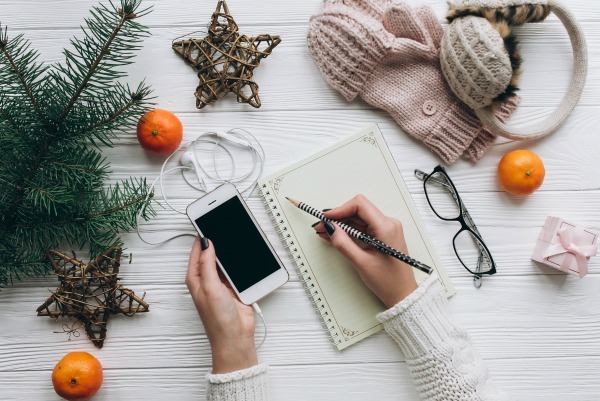 It is so easy to fall into the trap of consumerism and materialism this time of year but having a well-thought-out plan of how you will approach the holiday season is key when it comes to avoiding this trap. Setting aside time now to review your budget or to set up a budget, is another key to planning for a more intentional holiday season. When you know exactly how much money you have to spend on everything from meals, food, decor, and gifts, then you are quick to reel in when you feel yourself getting caught up in the materialistic side of the holidays. If you have been around my blog for a while, you know that I am passionate about faith, family, and intentional living. I strongly believe that when we place our focus on the things that truly matter (our priorities) and say no to the non-essentials, we live with more purpose, more focus, and more joy. When we know what our family’s priorities are and what’s important to us, we can easily say no to things that don’t line up with our values…. and that even means saying no to what your mother-in-law or another extended family might be asking. 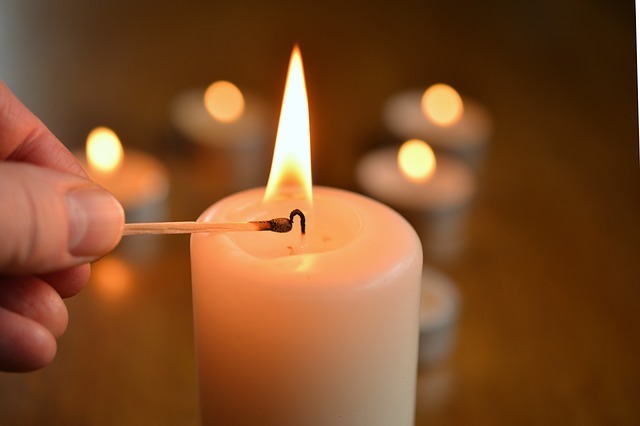 Family conflict and drama happens in even the most stable families but learning how to navigate through that conflict without pressing your stress triggers is important. Other family members might have expectations for you and your family, but that is on them. Together with your husband and children, if they are old enough, sit down to clearly discuss what is important to your family, and what your expectations are for the holidays. What matters most to you and your family is most important. Planning and discussing with your family is key to avoiding conflicts, stress, and unrealistic expectations during the holidays. When you sit down with your husband and children to have a discussion about priorities and expectations, everyone is on the same page. You want to serve together as a family and bless others, you have good intentions, but all too quickly the calendar moves and before you know it, the holidays are over and all of those ideas and dreams about serving together never came to fruition. Taking the time to think through and plan how you and your family can serve together this year, will help make sure it actually happens. Want to put together shoeboxes for Operation Christmas Child? Plan it now. Want to volunteer to serve a meal? Sign your family up today! Want to bake cookies and deliver them to elderly neighbors? Plan a baking day today and write it in the calendar… even if that is a few months away! Plan today and put in the calendar will ensure that you and your family can grow in faith together and serve together during the holiday season. This summer I read aloud to my children Little House in the Big Woods. As I read through the Christmas chapter, I marveled at how sweet and simple their Christmas celebration was. Their decorations were minimal, the gifts were sparse, but the joy and love were abounding. 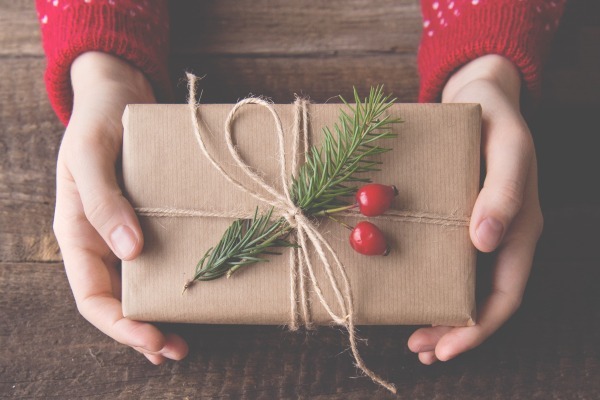 Now I’m not saying that to have a frugal and simple holiday we have to imitate the Ingalls family but there are some takeaways here to remember. If you were to strip away all of the lights, decorations, and fanfare, what would be the most important part of the holiday season? For me, and I’m probably going to assume for you too, it is all about being together as a family and worshipping God. We don’t have to pull out all the stops for a perfectly decorated home. It’s fun and cozy to put up our favorite decorations but we don’t need to have the expectations that our homes have to be Pinterest worthy. We don’t have to have these elaborate 4-course meals on the best china to have a nice Thanksgiving dinner. A casual family-style buffet on mismatched plates (or even disposable… gasp!) surrounded by your favorite people is all you need. We don’t even need a tree overflowing with all the perfectly wrapped presents. Instead, carefully and thoughtfully picking out a small assortment of gifts and having a wrapping party with your children, while they decorate the wrapping paper with pride for their family members, is a memory we never want to forget. 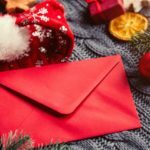 Planning for the upcoming holiday season is important but it doesn’t have to be daunting or time-consuming. 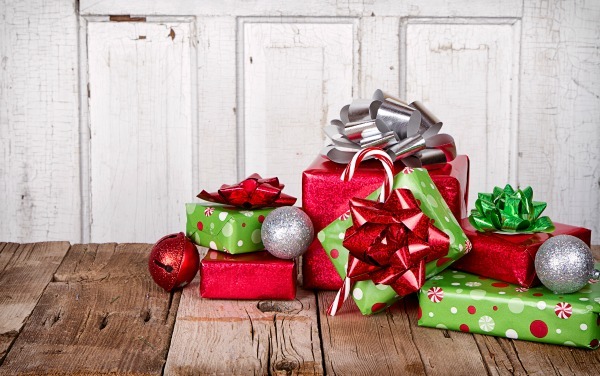 Have you started to think about planning for the holiday season yet? If so, what do you do now to make the entire holiday season simple and meaningful? 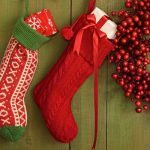 Want to plan an Intentional Holiday Season? Full calendars, finances, family conflict, and consumerism can pull us away from the real reason we celebrate the holidays. It’s easy to get trapped in the mindset of trying to plan the “perfect” holiday but sometimes our vision of perfection doesn’t match our reality. 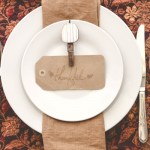 How do we approach the holiday season so we can enjoy it and still feel refreshed? Join us as we identify what matters most so you can plan a holiday season that is intentional and full of memories!